Also called a Blood Moon, this lunar eclipse we have the Full Moon in Aries, and thus all Aries themes like passion, drive, leadership, confidence, and instinct will all be heightened. We will gather together to create a scared space, where we can connect with our deepest truth and desires. Through the art and science of Kundalini Yoga we will explore a Pranayama and Kriya to release blocks in the physical body, a meditation to uplift the spirit and a Full ½ hour healing gong savasana (deep relaxation). In this workshop we will also explore opening up to the sound current, through mantra and Kirtan. Let your open and your spirit shine! Join us for a full day of detoxification, rejuvenation and relaxation! Detox waters, fresh organic juices and a fresh organic lunch will be provided. 12-1:00 pm LUNCH fresh, organic, vegan and gluten-free lunch will be served. Please let us know ahead of time if you have any food allergies or sensitivities. Eclipses are cosmic messages that change is imminent. Twice a year we get the opportunity to revise our thinking. They are like giant billboards in the sky telling you to get ready for change! Lunar Eclipses occur when the shadow of the Moon is on the Earth, which happens approximately every six months when the Sun, Earth and Moon are perfectly aligned. This Total Lunar Eclipse on April 4, 2015 will occur as the Moon passes in front of the constellation of Aries at 14º24’ and is in exact alignment with the Earth moving opposite the Moon in front of the constellation of Libra at 14º24’. Lunar Eclipses are powerful Full Moons that are ‘course corrector's’ and are meant to change your life!! This Lunar Eclipse has an edge to it that forces us to start making necessary changes. Learn to stay calm in the face of a challenge, simplify your life and prepare for the new that a lunar eclipse brings. Eclipses come around every six months to shake us around, wake us up and offer us the gift of seeing our lives more clearly. JOIN US AS WE TAP INTO THIS POWERFUL ENERGY! LEAVE WITH THE COURAGE AND THE CLARITY TO BRING ABOUT NECESSARY CHANGES IN YOUR LIFE. Join us for this powerful new moon yoga class! 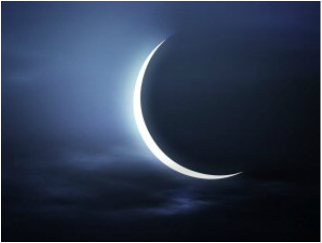 The New Moon is a time to focus our energy on NEW BEGINNINGS. Together we will create a secret space and tap into that unlimited greatness that resides within. Leave with a renewed sense of strength, vitality and clarity, to make the necessary shifts in your life.